Campaign Sports sits down with a D3 Soccer Coach for a Q&A about how to run a successful fundraising campaign in 2019 and beyond. Q: First, I just wanted to confirm the fee structure. $2 per email contact from the players goes to your company. Is there a maximum fee? We are just making sure we don’t end up losing money in the off chance we don’t end up making as much as we would like. Say we don’t do well in the first month, and chose to have the girls add more emails, is it still $2? A: $2 per email contact IS our max fee, unlimited solicitation. There are no start up costs and no risk. If for whatever reason the fundraiser is unsuccessful, it would be a 50/50 split of the proceeds (I.E., $500 would be split $250/$250). Q: Do you have an average amount raised for our school and size of program? A: The average amount raised for a D3 soccer team with a 25+ roster is $5,000 ($250 per athlete). Q: How or what do donors receive for their tax deductible receipt? A: All donors receive a tax receipt from us for online donations. Check donations would be sent directly to you so you would be responsible for those. All non-profit institutions must give a tax exempt receipt. Donations are never endorsed to the individual athlete or Campaign Sports. Q: I know we discussed two potential ways for the money to be processed – you collect, take out your fees, and then send to us – was the first. Could you go in to a little more detail on both options? I think Ted wants to know more of the specifics if possible. A: The easiest way to deal with tax exemption is for either us to process the online donations, send you the surplus check in full, then you mail us a check for services rendered, or we reconfigure the URL and Call-In line to match your school’s so you can process all of the donations outright. Q: When the players send out an email, does it come from a campaign sports email address? I think that may make the players feel more comfortable. A: You have the option of the e-blast emails to come from us or from the athlete, whichever each individual prefers, we will be able to accommodate through Mail Chimp. Q: Who they should put on their lists – relatives? Neighbors? Etc. This is probably the biggest as we are giving them this time to hopefully come up with a great list but January. A: Best contact list suggestions (former coaches & teachers, neighbors, family doctor/dentist/attorney/pastor, cousins, aunts & uncles, grandparents, small & big business contacts connected to the family). Q: Should they follow up with those people or let them know before the email is sent? A: A quick follow up letting them know we’re getting underway is essential as well as following us on social media and spreading the word there too. You will have a tracking site that you can share with the athletes as needed and yes, it is always private. Q: Is having a minimum amount “due” per player successful? 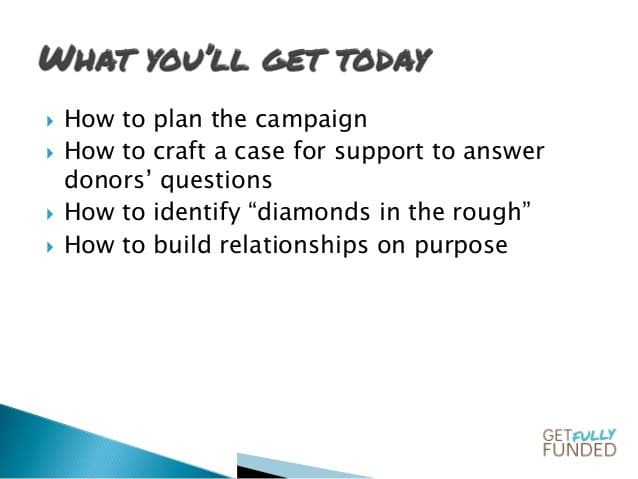 A: ALWAYS set a team AND individual fundraising goal with a clear message and game plan. Q: Should they post on their personal social media sites as well as our official team social media pages? A: Yes & Yes, social media is equally as significant as emails. Sign up with Campaign Sports today to exceed your fundraising expectations in 2019. Call us at (877) 511-1555 or email us at info@campaignsports.com.